At a recent marching band competition as a chaperone for my son’s high school band of 230 musicians, I caught a little bit of video that touched and moved many of us that experienced it. I call it Small Wonder. It’s not every day you run into such dedication in such a young soul. Newport High School Drama performed “Little Shop of Horrors’ for the Spring Musical May 28 and 29 2010. The Performance was doublecast with the principal 4 characters performed by different actors in separate performances. The rest of the cast remained the same. This 5 minute segment includes cast members from both performances including the principal characters. It is a short compilation that switches back and forth between the May 28 7pm performance and the May 29 7pm performances. There is so much talent and sophisitication in the characters and music and set design and costumes. It is really a treat to watch. I am happy to have been able to preserve this performance for all of the hard work that went into the final production. My teenage son was finally able to be a counselor at Camp Casey this year and I was able to attend as a volunteer and create an updated 2010 video compilation. Camp is a meaningful experience for all who attend, whether as a volunteer or a camper. And it is run to be entirely free to campers. Watching my son have so much fun with the campers and work himself to sheer exhaustion with the other counselors, brought back moments for me as an 18 year old in the same setting and charmed experience. Post a comment if you would like to know more about how to get involved. This clip explains itself. There is a special place in the Pacific Northwest run by and for special people each summer that creates a magical experience for all who attend. It’s called Camp Casey. That’s just a little bit of inspiration for the day. If you are interested in knowing more. Let me know. 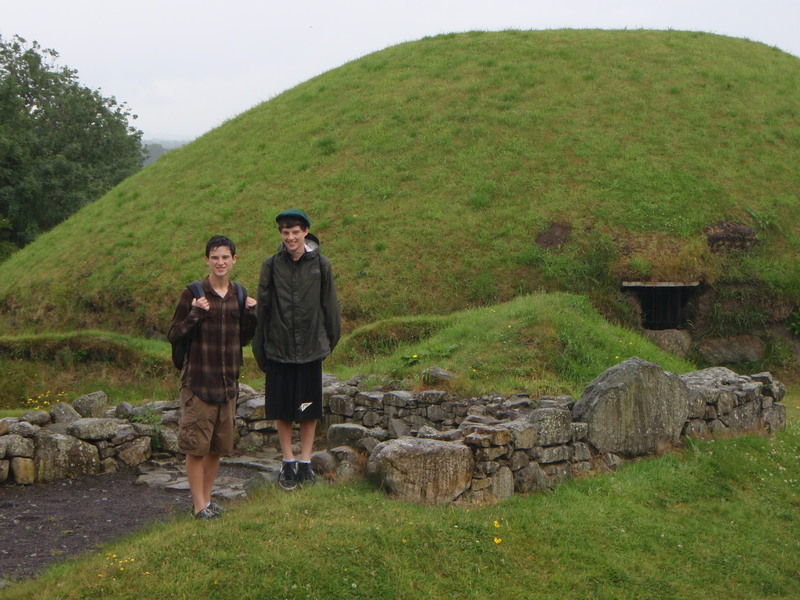 My recent travels in Ireland with my 14 and 16 year old sons provided us all with inspiration and a quality to want to know and appreciate more about how other people in our world live each day. It is a beautiful country. It has had a long and tumultuous at times history. Our trip to New Grange and Knowth gave us appreciation for this history and where we’ve all come from. The guide was so impressive to say that the early inhabitants at Knowth dated back over 5000 years and practiced farming. I loved his story that so many of our own cultures have lived and thrived with farming and so their history is our history and to move forward successfully we should know more about where we have come from. That speaks volumes to me and I plan to work with some of the video from this trip to compile a synopsis of family and friends and places in Ireland that provide a glimpse of my grandmother’s life there. This will be useful for many in my family as a visualization of where they have come from and opportunity for where they can go. Just finishing providing Puesta del Sol Elementary with DVD’s for their production of Emperor’s New Clothes. What great energy and enthuisasm they showed on stage. I put a highlight segment together and a full DVD for the cast. There are so many activities at the end of the school year. I am glad I am able to help capture some of these fun moments for parents and kids to relive through the years. My kids went to Puesta del Sol and were in drama productions there too. It is nice to have the video of their performances to look back on through the years. Speaking of those, I may edit some highlights and post those too. It might be fun for the teenagers now that were 4th and 5th graders then.